Who is a Portable Espresso Maker for? Many people believe this is the perfect brew: an espresso. You probably think you can only get this in the best restaurants or cafes in town where they have those huge fancy machines. Here’s the good news: Ever heard of portable espresso makers? Yes you can now even enjoy an espresso while you’re camping and you don’t have any power. It’s the coffee aficionado’s dream come true. That’s the future for espresso lovers and we’ll help you find the ideal one for you. Below we’re going to review some of the most impressive ones on the market. Let’s help you pick yours. 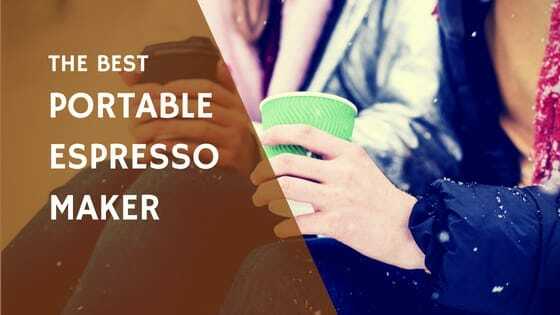 Espresso’s quality is all about the pressure you can apply. With this unit even though it’s not driven by electrical power you can get those flavors extracted because of the pump action with your hand and the piston inside. However you can’t tamp the grounds since it creates too much pressure. This can damage the unit. Cleaning is one of the minor things you may not like about this device because you can never get all the water out. A little is left in the nozzle and if you’re not going to use the unit for a while this may start to mould. You need to unscrew all components to clean them. You can add vinegar water to the cleaning process now and then to ensure there’s no build up. You can use this anywhere as long as you can boil some water. It’s small enough to take camping and stylish enough to keep on your desk at the office. Note that it only makes one shot at a time so entertaining many people at once will take some time. This is an excellent and super small unit so you can take it anywhere. Just realize its limitations in terms of tamping and capacity. If you’re looking for a unit just for yourself when the craving hits this is ideal. Thanks to the powerful handpump action you can get up to 232psi with this portable unit. This is even higher than some table top machines. A unique feature is that you’re not limited to using grounds. You can also insert an ESE pod—small bag filled with grounds—and get quality brew. These are handy to take with when traveling since there’s less chance of grounds spilling in your luggage. The pods are super easy to clean as you simply remove it and rinse the other components with water. This also makes it easy to make multiple cups straight after each other. This is specifically handy for traveling because you can store water in the reservoir and even the pods or grounds can be kept in one of the compartments. This is an excellent idea but it may need some improvements. It’s so handy to take your coffee wherever you want it but also note that the water won’t stay hot for long. These days consumers want to know they’re using safe products and this one combines metal & only BPA free plastic. It’s another hand pump unit so you don’t use power outlets or even batteries. You can keep water inside the tiny reservoir but it’s not designed to keep it hot for long. Best option is to pour in water you just boiled or from a different thermos. Because all the components can easily unscrew, it’s easy to clean and dry. It’s so small you can take it anywhere no matter how limited your luggage is. As long as you can boil water or take hot water with you you’ll have a great cup of coffee. Remember the amount of pressure is determined by you pumping so you must be ready to do this every time you crave a brew. This makes it perfect for camping or travel but perhaps you want something more automatic for daily use. Wow! So much style in such a compact unit. Don’t worry it’s not only about aesthetics because this small gadget can generate up to 15bar which is what you want for quality espresso. You can either use capsules or your favorite grounds. Your brew will be deposited into a stylish travel mug with a lid. This means you can take your espresso anywhere without spillage. The components screw loose so you can wash them after use. Note that it’s not the most durable unit on this list so be cautious when using and cleaning so parts don’t break. In terms of application it’s ideal for travellers as long as you have access to hot water. But think twice about taking it camping as it’s more prone to breakage after rough handling. This is such an impressive item - we love the stylish cup you get to drink from. Here’s one of the all in one models on this list as this CISNO gadget even boils your water for you. This is possible because it’s battery operated. Alternatively you can power it via your car or a normal power outlet. With this you can heat water to 194°F and your brew will be a maximum of 158°F. This is designed for capsules but grounds can also be used. You can clean it by running water through it without any capsule inserted. This suffices to clean all necessary crevices. It’s ideal for taking on the road since it fits into your car’s cup holder. Because it heats up water it’s the ideal outdoors espresso maker. If you want to brew for more than one person without taking almost 30 minutes, rather have hot water on hand. Other than that this is an excellent present for any coffee lover. With this unit you’ll be supplying the pressure but if you look at the awards this has won you know it delivers an exceptionally good brew. Some would say it rivals counter top machines. You do need to have boiling water on hand and how hot it comes out depends on how fast you work. Make yourself familiar with this so you can work fast and improve your brew. It’s not the easiest machine to clean as the grounds tend to spill all over instead of coming out as one puck. Because you need hot water on hand this is ideal for office espressos when you don’t have time to go out for coffee. This is a good all rounder known for quality brews but just remember you’re producing all the power. If you take too long the water will go cold and this affects how much flavor you get. The good news: A good crema is possible. Here’s a solution if you’re looking for the portable unit that will serve you and your companion fast. This espresso maker has a two filter basket component. Now you simply have to refill the water tank after the first cup and you’re ready to get another shot. It saves some time so you can enjoy your brews together. The components can be taken apart for easy cleaning. This basically fits in the palm of your hand so it’s super handy to take to the office or outdoors. It even has some style thanks to the colored parts. This also helps you discern which one belongs to who so why not get one for each member of the family? These gadgets probably look very nifty. Yes, simply their aesthetics will make the shopaholics order them immediately. But make sure it complements your lifestyle by matching it to your preferences. We’ll help you. This market is strongly driven by coffee lovers for who quality brews are essential to everyday living. (Are you one of them?). Just because you’re leaving home for a business trip or holiday doesn’t mean you can’t enjoy your strong morning brew as if you had your favourite espresso machine at hand. And you don’t even have to trust your hotel or the café next to the road. You probably know what you get there is often far removed from what coffee should taste like. With a portable espresso maker your coffee is next to you on the seat and you can have it whenever the craving hits. And it’s not a luxury as many would deem it. That strong brew’s caffeine content could be what keeps you awake while driving. When you reach your destination it’s also the perfect way to unwind since you don’t have to go in search of coffee. Simply pour. If these circumstances apply to your lifestyle it’s important to consider details when shopping for your portable unit. Do you need one that will keep your water hot for an extended period or will you easily get access to some boiled H2O? Coffee can easily become an addiction but don’t feel too bad about it. Your brew’s antioxidants can help your body fight off diseases if you drink it in moderation. Some experts even believe it has psychological benefits such as preventing bouts of depression. These benefits are determined by the quality of the coffee you consume and if it’s unfiltered or it comes from low quality beans it won’t help your body cope. This turns a simple portable coffee maker into a vital tool to keep in your car, briefcase or travel bag.  Of course your desire for good espresso may purely be fuelled by your high standards. If you’ve been disappointed by purchased coffee too many times and you wish you can take your counter top brewer everywhere, a portable version could be what you’ve been praying for all along. In many of the above scenarios it could be expensive to meet your daily coffee requirements if you were to purchase it from hotels, shops or restaurants. Of course it works out more budget friendly when you buy beans in bulk and do it yourself. The capital investment you make by purchasing one of the units above will save you a lot of money in the long run. So how do you determine which one’s your ideal buy? Let’s summarize it for you. Where will you need to transport this? Do you really need to fit it into your handbag or do you simply want one you can keep stored in your car? Or perhaps you just want an espresso maker in the house for those times you won’t have time to stop at your favorite restaurant on your way to work. Not all these circumstances require the smallest unit on the market so don’t spend too much if size doesn’t matter. Most portable units will require carrying around so don’t weigh yourself down. When going camping with it weight doesn’t matter unless you want to take it in your backpack during a hike. Can you see how your unique application determines what will be a smart buy in the end? So make your list of requirements before you start shopping. This is a very important matter on that list of yours since you’ll hate having a portable unit if your environment doesn’t allow you to use it. Your first instinct may be to get a manual unit so you’ll have access to quality brews whether you’re in the middle of nowhere or at the office. Note of caution: Manual units will require some force and effort from you to push all those aromas out of the grounds. If you’re going to use this every day this may become cumbersome. And let’s be realistic: In today’s technologically driven society it’s rare to find yourself far away from power sources. If you can power your mobile phone you can make coffee. Don’t purchase the unit that will be more trouble than it’s worth. Whether you’re brewing at an airport, the office or the camp site you want as little effort as possible. Review the cleaning and maintenance so you’re not put off from brewing by what comes after. Cold coffee is never tasty. If you know you’re not going to have access to piping hot water your portable espresso maker must keep it warm until you’re ready for that drink. Read up about insulation, seals and potential timelines before the temperature will start dropping. Remember the temperature of your water determines how much of the flavor you’ll extract from the grounds. So how is that list coming along? What will you brew with? Grind your beans, get your capsule or take out your grounds. Pour in the water. You can only use cold water if your espresso maker can heat it up. Place your grounds or capsule in the allocated chamber. Tamp down the grounds. Note: Only do this if advised because some of these gadgets can’t handle the pressure that builds up if the puck is packed extremely tight. Hold the espresso maker over your glass—if the design doesn’t include a glass or cup—and enjoy your brew. Tip: Work as quickly as possible so your brew doesn’t lose a lot of heat in the process. You want optimum heat to enjoy your drink but also to extract enough flavour. And just to recap, check out this video on how easy it is to brew an espresso on the go with one the machines we have picked for you in this article. And now it’s possible to enjoy your favorite drink wherever you go. Fuelled by others like you who love quality coffee this market will continue expanding and we’ll be here to tell you about the developments. What else would you like to know? Leave your thoughts in the comments and we’ll get back to you.